Visible Spectrum is a clothing brand from San Francisco, which uses inks that glow in the dark, without the use of blacklight. 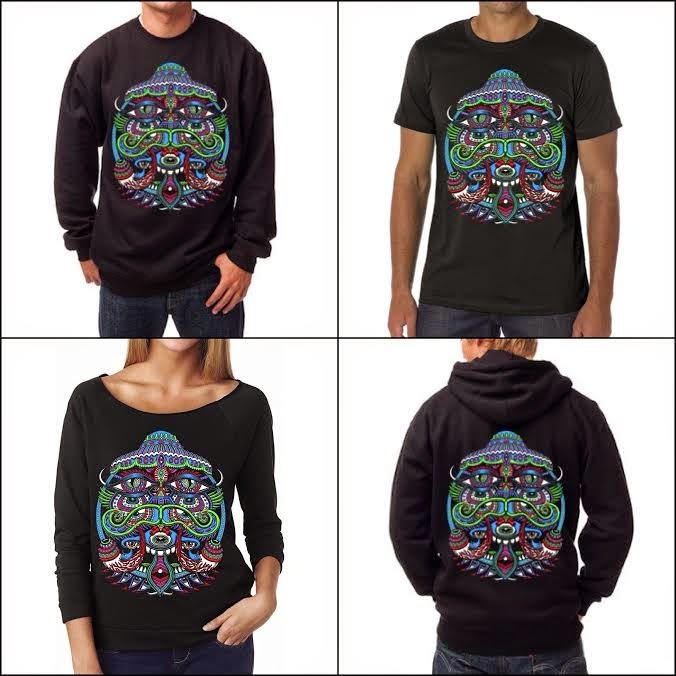 They just put out some stuff with my art, which is cheaper right now cause of the pre-sale wait. Go n scoop one HERE!! The new season of Creation Skateboards is out now!! Here are 5 graphics of that line that use my art, but theres much more! To score any online go HERE!! Manifest just released this video of the live painting show I did for them recently in Baltimore. Enjoy my wicked dance moves!! So my art appeared in a couple of random non-art Blogs this week. 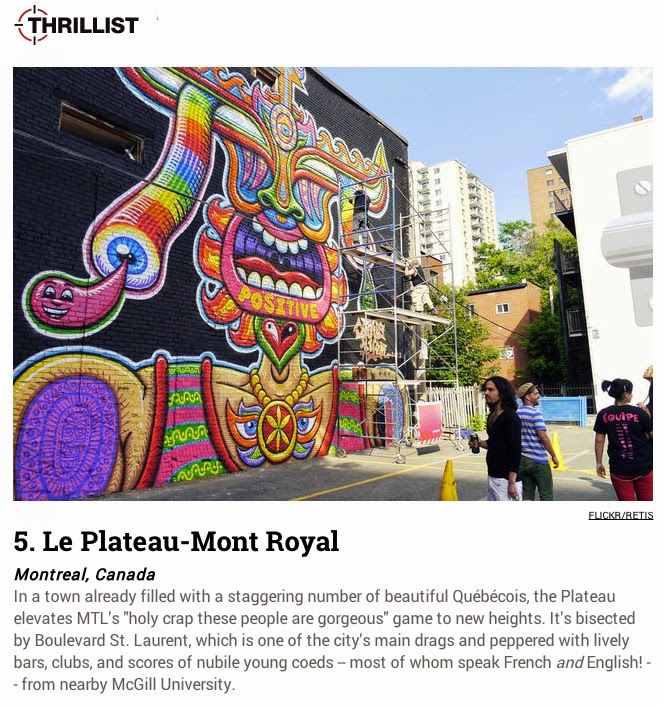 Thrillist had one of my murals illustrating my neighbourhood of the Plateau, a steh world's 5th sexiest one. Not sure why. Check HERE. Then MTL blog, calling this same mural "Famous" did their latest show in front of it, even if they never credited it... Check it HERE. 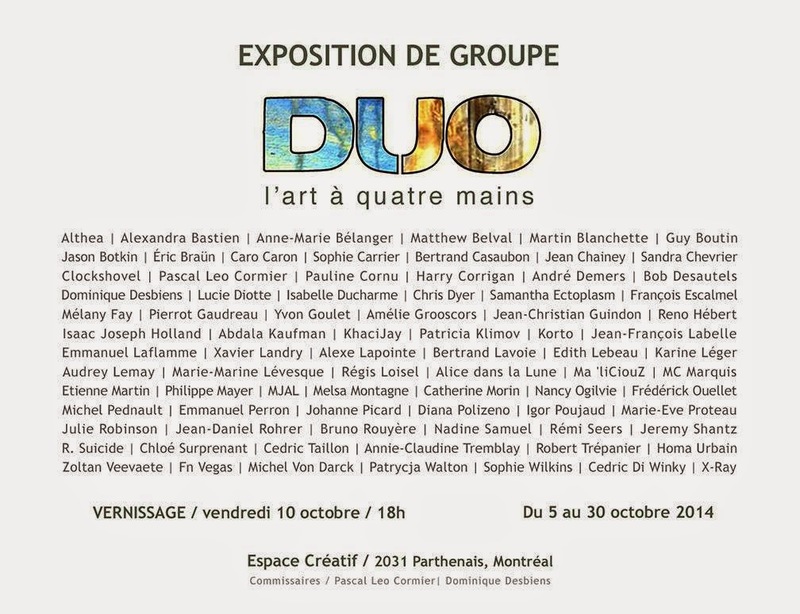 Next Friday the 10th of OCtober, at Espace Creatif (2031 Parthenais, Montreal), is the opening of a group art exhibition I am part of. 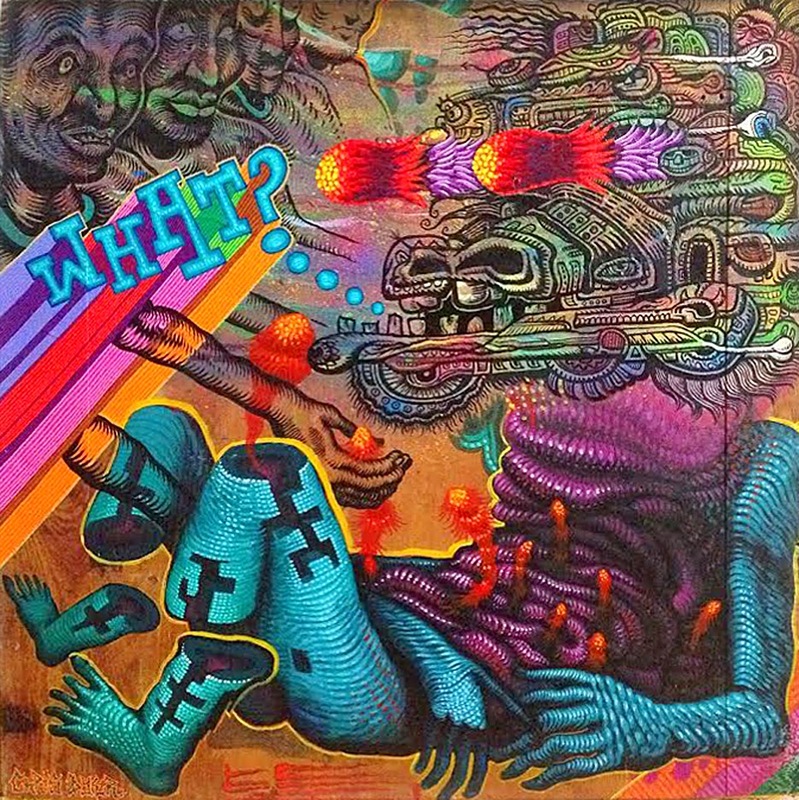 The whole concept is paintings made by 2 people, also known as collabos. Jason Botkin invited me to do his with me, and I did this weird thing out of spray paint drips n black ink (cause I was in between trips). Came out pretty fun n Im looking forward to seeing what the other artists did too!! For more info n details go HERE. Also, Rats des Ville covered the event HERE.